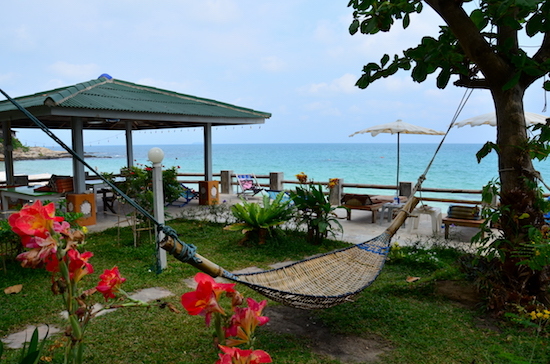 Photo: Lots of rooms to choose from on Ko Samet. You’ll notice an unusually high number of poor reviews when browsing Ko Samet’s resorts and guesthouses on the big booking sites. Does the island attract picky travellers with unreasonable expectations, or is the accommodation really that rough? It’s a little of both, as it turns out, but fear not: We’ve sifted the saffron from the soot to uncover solid options in all price ranges. 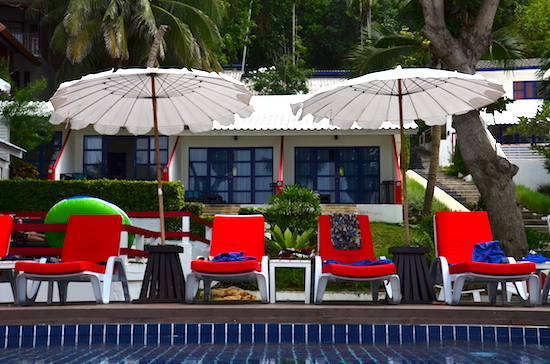 The brightest beach chair award goes to Lima Coco Resort. This article specifically highlights our top accommodation picks. For guidance on choosing the right beach for you, see Beaches on Ko Samet. After inspecting more than 60 properties in person we found that Samet really does have a lot of crummy places to stay, with poor value and jaded service being the primary offenders. But keep in mind that Samet is one of Thailand’s pricier islands; the types of basic air-con rooms that cost around 500 baht a night in many mainland destinations go for at least 1,000 baht here. 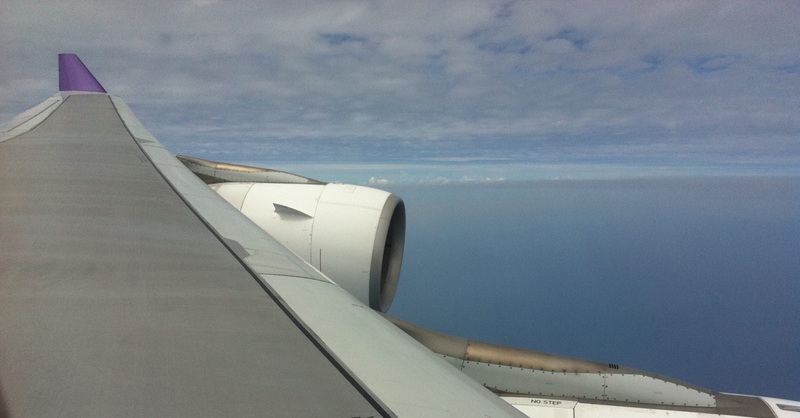 We also found that several of the best cheapish places to stay are not found on booking sites at all. Best hammock goes to Ban Khiang Talay. The island’s only dorm option at research time, Olly’s Bar and Hostel in Samet Village serves up spiffy air-con pods for a reasonable 350 baht a night — reserve yours in advance to avoid disappointment. 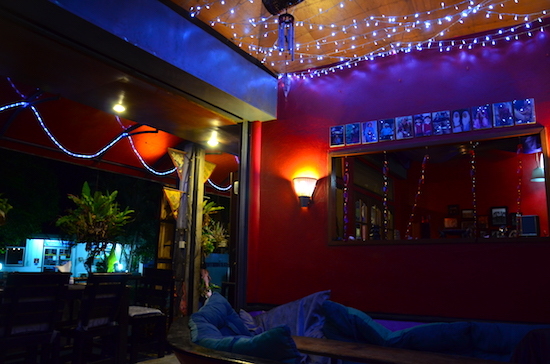 Nearby Red Ginger has a couple of solid 450-baht fan rooms that jump to 700 baht if you want the air-con turned on. If these are full, some of the locals rent a cheap room or two above their homes or businesses elsewhere in Samet Village. Cosiest atmosphere goes to Red Ginger. 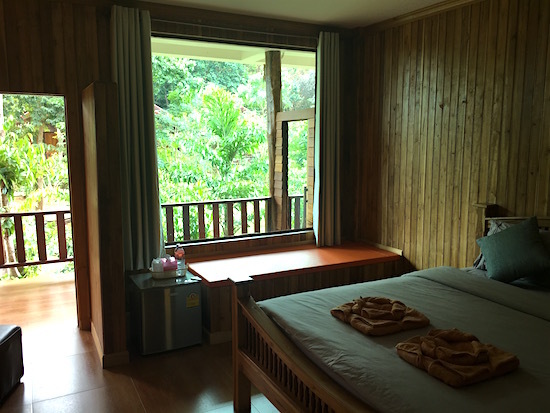 The only true budget fan bungalows that we found were at the seemingly half-open Ao Pai Hut on Ao Phai, the backpacker dive Naga Bungalows on Ao Hin Khok, and the old-style Blue Sky Bungalows on Ao Wong Duean, all for around 600 baht a night. The fan rooms are rundown at all three but Blue Sky offered us a decent air-con room for just 700 baht — quite a deal compared to similar options that usually start at around 1,200 baht. 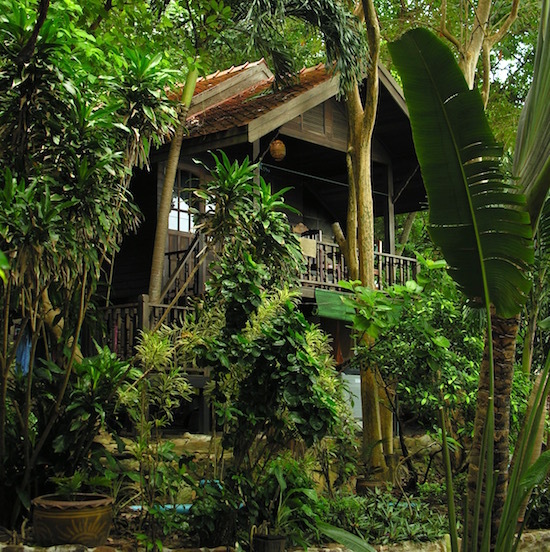 Best porch view goes to Apache’s treehouse bungalow. If you’re after a simple bungalow with a secluded beachfront location and laid-back atmosphere, Ao Nuan Bungalows on Ao Nuan and Ao Lung Dum’s Apache Bungalows are two of our favourite spots on the island. Both offer fan rooms for around 800 baht and air-con digs starting at 1,500 baht. Most tropical setting goes to Ao Nuan Bungalows. Up on the north coast we dug Sunrise Villas‘ revamped air-con bungalows for 1,300 baht, though some will shy from its rocky coastline near the bustling Nadan Pier. Beyond these you’ll find plenty of forgettable yet adequate air-con rooms running 1,000 to 1,500 baht; Tok’s Little Hut on Ao Hin Khok and Ban Khiang Talay on Ao Sang Thian are both slightly better than average. Best blend of quietude, comfort and convenience goes to Chom Samed. 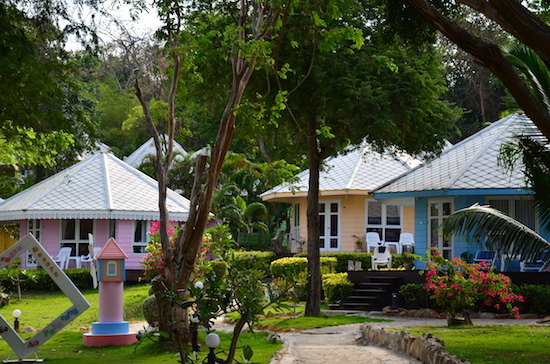 Ao Noi Na’s Chom Samed Resort is a good bet if you prefer a small resort in the 2,000 baht range. Further south, the large but reliable Tubtim Resort offers handsome beachside bungalows running from 2,000 to 3,500 baht on Ao Tubtim. In the remote reaches of Ao Pakarang, Nimmanoradee Resort‘s charming octagon cottages can often be scored online for around 2,500 baht. 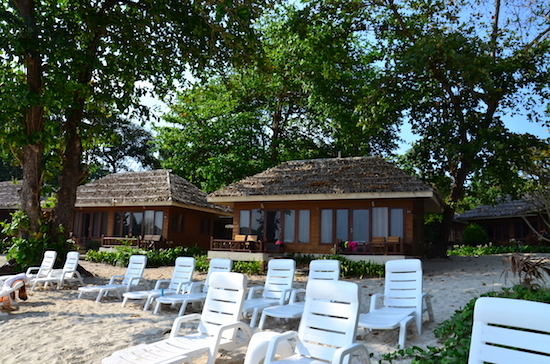 Ao Wong Duean’s Vongdeuan Resort and Samed Cabana are also solid midrangers with swimming pools and family rooms. Most charming room design goes to Nimmanoradee. Towards the upper end of this range, Mooban Talay Resort boasts romantic villas and a swimming pool on an almost-private stretch of Ao Noi Na. Over on Ao Phrao, Lima Coco Resort‘s Meditteranean-style rooms make it possible to stay on a five-star beach at three-star rates. Haad Sai Kaew’s Summerday Resort also deserves a mention for its six stylish rooms and personable staff on an otherwise impersonal beach. 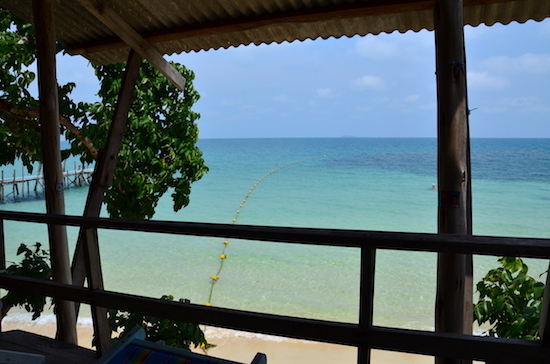 Best stretch of beachfront goes to Samed Cabana. Haad Sai Kaew’s long-running Sai Kaew Beach Resort has done a fine job of reinventing itself with slick poolside villas and “premier” rooms starting at around 6,500 baht in high season. If you’re really looking to be pampered, Ao Phrao’s Le Vimarn Cottages and Spa boasts luxurious Jacuzzi suites that fetch a mere 9,500 baht during the busy months.